Q. I am using a Mac and I sent documents for printing. What should I key in as the username when I am at the Print Release station? 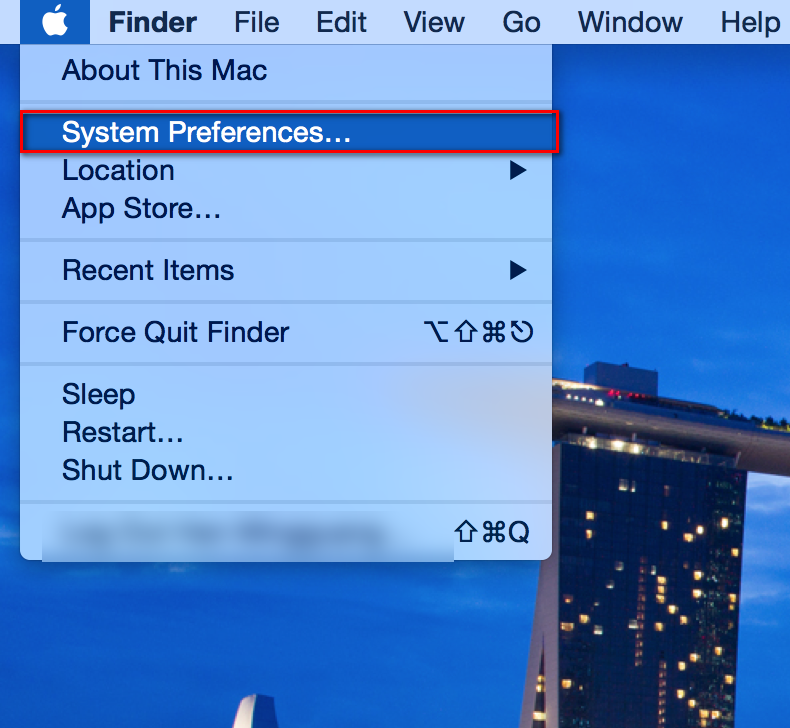 2) Next, head to Users & Groups, do a right click on the current user or admin and select Advanced Options. Make sure that the lock icon at the bottom is unlocked before you right click on the current user or admin. 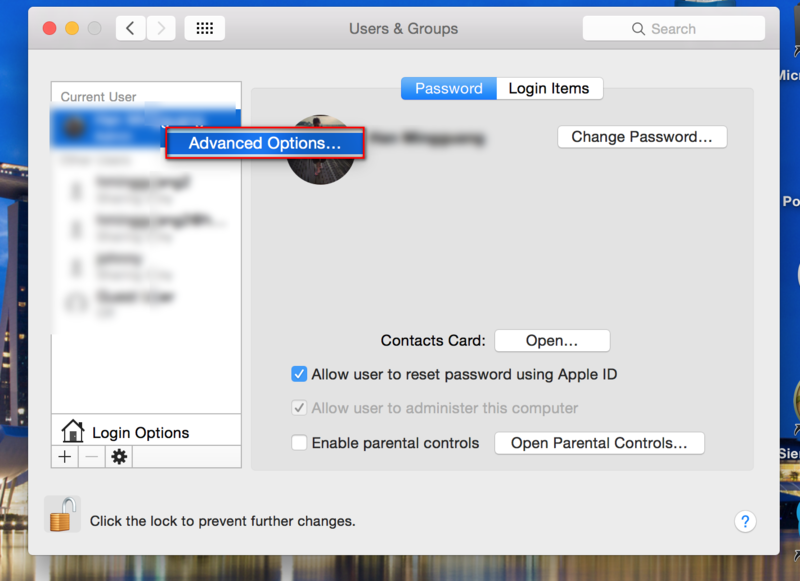 3) The username/computer name to key into the print release station can be located under Account Name. You can also choose to change the account name to a different name. 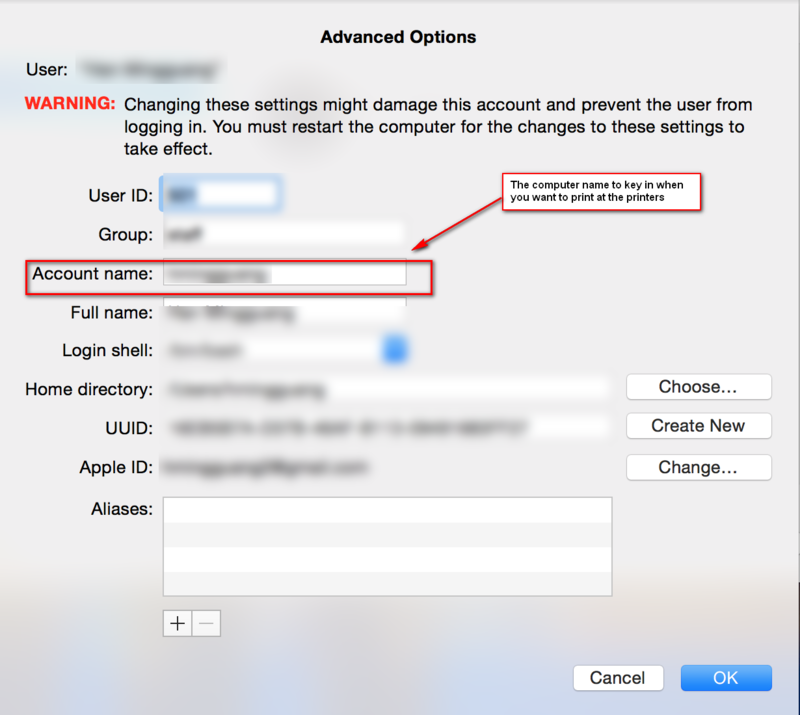 If you require assistance in changing your account name, please visit this apple support page.